Training is the key to unlocking your potential. Ensure you have the knowledge needed to succeed by attending our training sessions or viewing our free videos. 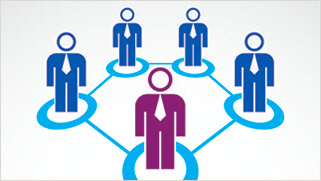 Our functional and technical support services function as your virtual administrator. We help keep your system and your users informed and running smoothly. Our Microsoft consulting services bring real-world expertise to the table to help organizations of all sizes realize the benefits of Microsoft business applications. 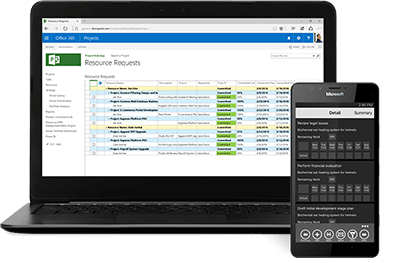 Evaluate and optimize your project portfolio, Gain insight into how resources are used, and execute projects with ease by leveraging Microsoft Project Online. Achieve greater business outcomes and enable people to do their best work by unifying relationships, processes, and data with Microsoft Dynamics 365 Online. Empower teamwork with dynamic and productive sites, build cohesion and inform your employees, accelerate productivity and processes with SharePoint Online. 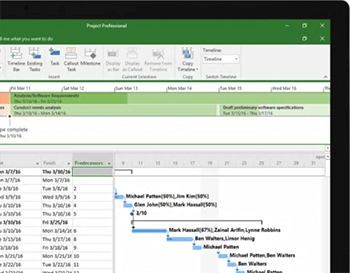 Evaluate and optimize your project portfolio to prioritize initiatives and get the results you want with Microsoft Project Online. Seamless integration with Power BI provides advanced analytics. 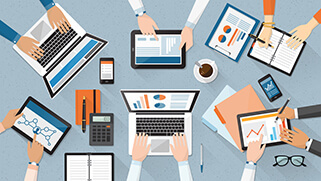 Built-in reports keep everyone on the same page. With Integent’s Microsoft Project Online Consulting services, we can help you experience the most Microsoft PPM has to offer.